An event to launch Afghanistan, War and the Media: Deadlines and Frontlines will be held at the Frontline Club in London on September 15 (7pm). The book explores the journalism coming out of the current Afghan war from the frontline and from the greater comfort of the library. It includes the testimony of some of the best frontline correspondents of our era, much of it placed in appropriate historical contexts, alongside detailed academic analysis. For further information on the book launch and the Media Society discussion visit the Frontline Club website. Playing footsie with the FTSE? The latest Special Edition issue of Ethical Space looks at the financial crash of 2008 and the crisis in financial journalism. The crash saw the world economy on the edge of meltdown after the collapse of Lehman Brothers on 15 September. The banks were on the brink; the cash machines worldwide were about to be shut off. In the end, the global economy was saved - but at a huge long-term cost. Why did so few politicians, economists and academics see the Great Crash coming and why did so few journalists report it in advance? In Playing footsie with the FTSE? the movers and shakers of financial journalism try to give some explanation. The BBC’s Robert Peston, the Daily Mail’s Alex Brummer, the Banker’s Brian Caplen and 15 other leading commentators try to answer why so few journalists predicted the global economic crash of 2008. 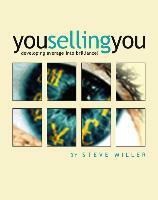 Arima author Steve Miller (You Selling You) has secured a two book deal with major publisher Hodder Headline. The two titles (Get Off Your Arse and Lose Weight & Get Off Your Arse and Grab That New Job) have been well received and seen as a refreshing alternative approach in the self-help and life style genres. ‘Hunter’, by Campbell Jefferys, has won the general fiction category of the 2009 Next Generation Indie Book Awards and finished runner-up in the overall fiction category. The full list of winners is available on the Indie Book Awards website (www.indiebookawards.com). ‘Both Sides of the Fence’, Frank Cullum’s poacher-turned-gamekeeper memoir has been reviewed in Shooting Times as has Ken Rutterford’s highly acclaimed ‘Cartridges of the British Isles’. Janet Davies had her book featured in an article in The Sunday Times and has had a number of media engagements to promote her book ‘Rebuilding your life after redundancy’.